The all-new Land Rover Discovery. A look that gives you a confidence of a car that can be driven on any terrain or conditions. One has to know the design guru behind this rugged look which is Gerry McGovern who redefines the Discovery in a segment of large SUV. Gerry’s team has created a machine which is highly attractive, extremely multitalented and competence premium SUV. Ever since the first Land Rover was conceived in 1947, they have built vehicles that challenge what is possible. These in turn have challenged to explore new territories and conquer difficult terrains. The Discovery has as much needed interior with touch screen infotainment. As per the face look we expect the car to have the same look on the other three sides balancing itself and justifying infotainment which is integrated with12V power points and USB charging sockets. As per the face look we expect the car to have the same look on the other three sides balancing itself and justifying Discovery its worth when it reveals on 28th September. Convinced and receptive, the drive is further enhanced by a generous wheel articulation and innovative off-road technologies such as Terrain Response. One feature which is Land Rover’s patented is Hill Descent Control (HDC) which assists with controlled descents of difficult slopes by maintaining a constant speed and applying braking separately to each wheel. 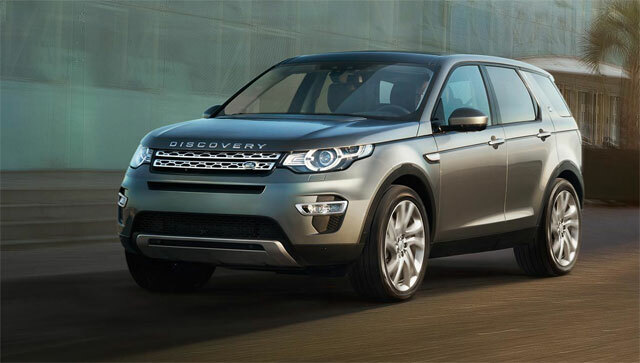 The company also ensures the seven seat capacity of the Discovery. The car’s stud look and roaring appearance doesn’t only make the difference with the other cars but also showcases far crisper and contemporary features within. Thus, they continue to break new ground, defy conventions and persuade each other to go further. Land Rover truly enables one to make more of their world, to go above and beyond.